While in the Tags view, tap on the '+' button and enter in your tag. 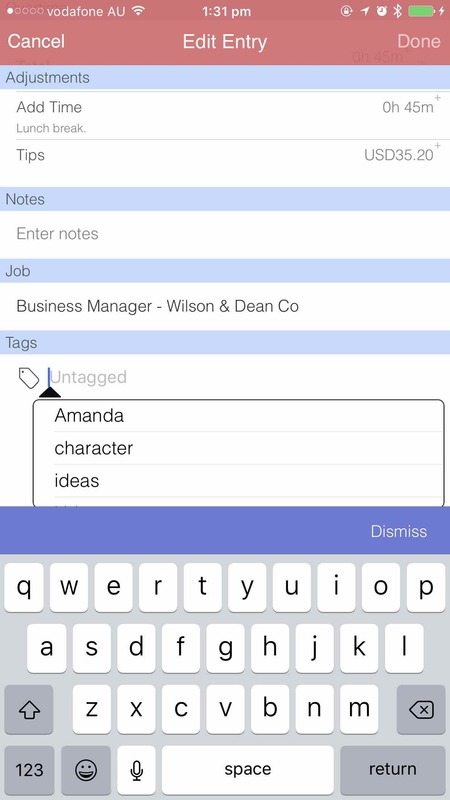 Tap on the tags field to bring up the keyboard. If there are pre-existing tags, this will appear in the drop down where you can select to 'tag' the entry. If your tag does not appear in the table, just type in your new tag followed by a comma or press 'Return' on the keyboard. This will automatically create and add the tag to Work Clock.